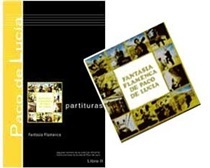 Flamenco-Live and David Leiva present the book of the grand master Paco de Lucia , LUZIA. 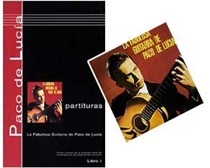 Eight sublime creation flamenco pieces with a perfect interpretation assumes, without doubt, a before and after for flamenco guitar and music, reaching unimaginable heights of composition and performance before. Luzia, the Paco de Lucía´s creation which again surprised all flamenco fans. A record that gives priority to the rhythm and harmonies of flamenco. With these eight pieces, the maestro looks for more traditional styles like soleá, siguiriya or rondeña with a new formula for the flamenco´s guitar development and obtaining aunique and exciting work. Listening to Paco de Lucía singing to his mother and to Camarón, is the most sensitive and exciting that has been recorded in flamenco.